Better questions lead to better answers. Orlando Regional Medical Center (ORMC) north entrance. 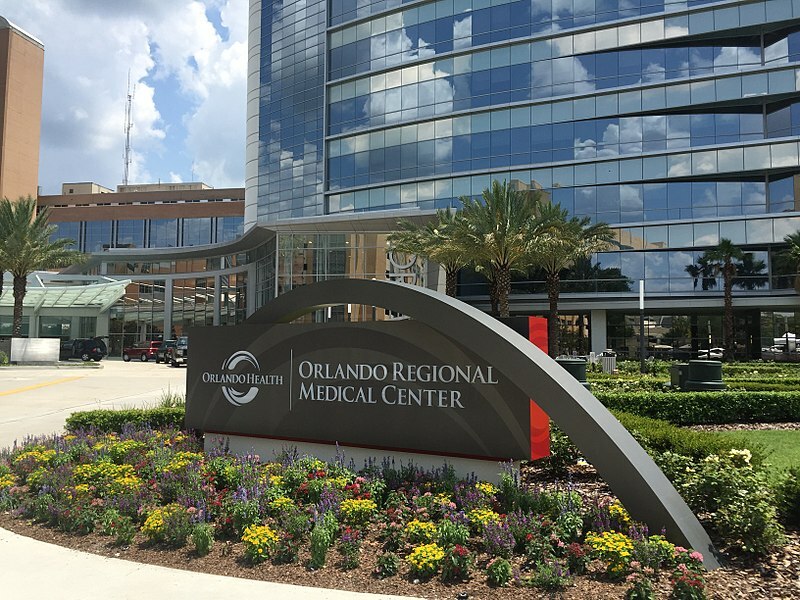 ORMC, the flagship facility for Orlando Health, expressed a very specific wayfinding problem: “people are having trouble finding their way from the C-Deck to Emergency.” And sure enough, they were right. But in order to effectively SOLVE this problem, Connect_CX reframed the statement as a question: “How do people get lost at ORMC?” This gave us a much broader platform to explore the systems that support wayfinding, rather than solely attempting to fix one route. It’s just like personal health: taking blood pressure medication does very little to resolve the problem if the behaviors that underlie the condition go unchanged. We assembled groups from across the campus and the system, ultimately including people from the C-suite to volunteers, those with decades of experience to newly-minted staffers. Clerical, clinical, coffee counter, you name it: we solicited their feedback and opinions. Most importantly, we were introduced to patients who shared their honest experiences: what didn’t they understand? What did they need to know? And what did they see that needed to change? Orlando isn’t like other places. As home to “The Happiest Place on Earth,” the people of Orlando know customer experience: when it’s done right, and when it isn’t. And many of the people we’d interviewed were Disney alumni. In their opinion, the experience of navigating ORMC was, to say it kindly, in need of improvement. They wanted to build and support an experience that rivaled Mickey and Minnie’s. The result was a comprehensive needs assessment, along with a detailed study of the wayfinding challenge they’d originally proposed. By building both, we worked with ORMC to define the problems more broadly, while at the same time being laser-focused on ways to effectively solve those problems. Story is the basis of human connection. Wayfinding, at its heart, is storytelling. We used the stories we’d collected from our diverse audiences to inform a matrix that describes the complexity of the experience, both from those who deliver it and those asked to navigate it. Here, we depict the system that supports the entire journey, rather than only the original wayfinding problem. Our study covered four primary destinations on the ORMC campus, those most heavily visited by the public. In order to tell the correct story, we needed first to understand the context of the message being shared: who shares it, using which tool, at what point in the process? We laid these across pathways that ORMC patients navigate, in order to see where they intersect with the messages. For each of these tools, we developed a corresponding section in the Needs Assessment (the blue circles). Altering campus architecture to support intuitive wayfinding. Developing an ongoing communication and feedback cadence as we launch each recommended initiative. ORMC has an amazing opportunity: to create an interconnected system of communications that empowers each person within your culture to share a story with your visitors. Depending on the person, depending on the need, that story will change. But the basic elements – the single thread that runs through it – will supply your visitors with the landmarks that they’ll use to successfully navigate their healthcare experience. Review and assessment: what have we learned? How do we adapt as we move forward? We are currently in the process of final review before implementing this plan. This is how, working together, we make a big place small for ORMC staff, visitors and the communities they support.